Ministry of Health and Care Services informed the Parliament (Stortinget) (Meld. St. 10 (2012–2013) of the January 2013 launch of: "The National system for the introduction of new health technologies within the specialist health service – For better and safer patient care​" ("Nasjonalt system for innføring av nye metoder i spesialisthelsetjenesten – for bedre og tryggere pasientbehandling") with Directorate of Health assuming the secretariat functions and responsibilities. "Fra 2012 innføres det et system for nye og kostnadskrevende behandlingsmetoder i spesialisthelsetjenesten. Systemet innebærer at det skal gjennomføres metodevurdering før det tas beslutninger om å innføre nye metoder. Systemet skal bidra til større åpenhet i beslutningsprosessen og mer kunnskapsbaserte beslutninger. Se nærmere omtale i Kapittel 8 Mer systematisk utprøving og innføring av nye behandlingsmetoder." Interestingly, the January 2013 launch of this "National system for..." was 22 months, almost 2 years, prior to the implementation of Directorate of Health's knowledge-obviated, science-bending, medically & ethically flawed 2014 Recommendation with their exclusive implementation of NCFM eSnurra Group's "method" (i.e., the appropriated, plagiarized, misused Hutchon Method of PDEE) within a government-mandated protocol of evidence-obviated medicine; a protocol proven to cause increased medical risks, critical medical mistakes and grievous medicals harms. However, and strangely, Ministry of Health and Care Services' new system, "The National system for the introduction of new health technologies within the specialist health service – For better and safer patient care​", which was given the shorter name of: New Methods System (Nye Metoder System), was bypassed, completely, for Directorate of Health's national 2014 Recommendation without any explanation, whatsoever. Remember, Directorate of Health's 2014 Recommendation resulted from a science-bending comparison of two pregnancy dating methods: 1) Bergen Group's Terminhjulet method and NCFM eSnurra Group's eSnurra "method," each of which predicts/estimates that which the other does not predict/estimate for objectives which are unique to each method. Yes, you read that correctly; because claiming these two methods are comparable is no small part of the science-bending involved. Following the decision of the HOD from May 2017, the Secretariat for New Methods will be transferred to the regional health authorities of Helse Sør Øst RHF. The relocation of the Secretariat to Health South-East is implemented from 1 January 2018." In short, Directorate of Health's 2014 Recommendation resulted from a methods' comparison of unlike methods (an Apples & Pears comparison) without using ​Ministry of Health and Care Services' New Methods System (Nye Metoder System). A new system for introducing new and costly methods in the specialist health service is described in Meld. St. 16 (2010-2011) National Health and Care Plan (2011-2015) and in Meld. St. 10 (2012-2013) Good quality - safe services. Et nytt system for innføring av nye og kostnadskrevende metoder i spesialisthelsetjenesten er beskrevet i Meld. St. 16 (2010–2011) nasjonal helse- og omsorgsplan (2011–2015) og i Meld. St. 10 (2012–2013) God kvalitet – trygge tjenester. The system was established in 2012 and launched in January 2013. A secretariat has been established in the Directorate of Health, a national working group with all the key actors, a reference group with representatives from users and industry, as well as the Order Forum RHF. A new Decision Forum for new methods was established in May 2014. RHF. Beslutningsforum for nye metoder ble etablert i mai 2014. The purpose of the system is to increase quality and patient safety in treatment services by helping patients access new, effective methods as quickly as possible, and that ineffective or harmful treatment methods are not used. For medicines that have a marketing authorization and thus have a proven positive benefit / risk ratio, the system will help to promote an economically and medicinally correct use of the drugs in the specialist health service. Formålet med systemet er å øke kvalitet og pasientsikkerhet i behandlingstilbudet ved å bidra til at pasienter så raskt som mulig får tilgang til nye, virkningsfulle metoder og at behandlingsmetoder som er ineffektive eller skadelige ikke brukes. For legemidler som har markedsføringstillatelse og dermed har et dokumentert positivt nytte/risikoforhold, vil systemet bidra til å fremme en økonomisk og medisinsk riktig bruk av legemidlene i spesialisthelsetjenesten. The system employs internationally recognized standards for methodological assessment (HTA) that ensure that decisions are based on the best possible academic knowledge base. Method assessment is a systematic summary and assessment of available scientific literature. The assessments may include medical devices and apparatus for prevention, investigation / diagnosis, treatment and follow-up of procedures, medicines, care, as well as organization of service and other interventions. Systemet tar i bruk internasjonalt anerkjente standarder for metodevurdering (Health Technology Assessment – HTA) som sikrer at beslutningene er basert på et best mulig faglig kunnskapsgrunnlag. Metodevurdering er en systematisk oppsummering og vurdering av tilgjengelig vitenskapelig litteratur. Vurderingene kan omfatte medisinsk utstyr og apparatur til forebygging, utredning/diagnostikk, behandling og oppfølging av prosedyrer, legemidler, pleie, samt organisering av tjenesten og andre intervensjoner. The system is based on the principles of openness and transparency and is implemented and developed within today's governance structures and legislation. Systemet bygger på prinsippene om åpenhet og transparens og implementeres og utvikles innenfor dagens styringsstrukturer og lovverk. The Health Technology Assessment (HTA) process, which has been in place in Norway for the past 20 years, was ignored by: Ministry of Health and Care Services, Directorate of Health, NCFM eSnurra Group and NOKC with respect to Directorate of Health's knowledge-obviated, medically & ethically flawed 2014 Recommendation (i.e., national medical policy) with their exclusive implementation of NCFM eSnurra Group's "method" (i.e., the appropriated, plagiarized, misused Hutchon Method of PDEE) within a government-mandated protocol of evidence-obviated medicine; a protocol proven to cause increased medical risks, critical medical mistakes and grievous medical harms with respect to obstetric medicine, fetal medicine and obstetric clinical care. Included below are relevant excerpts from "The National system for the introduction of new health technologies within the specialist health service – For better and safer patient care" Norwegian version: "Nasjonalt system for innføring av nye metoder i spesialisthelsetjenesten – for bedre og tryggere pasientbehandling"
A national system for the introduction of new health technologies in the specialist health service is implemented. The key aspects of this new system are described in “Nasjonal helse- og omsorgsplan 2011-2015”  and “Stortingsmelding 10 (2012-2013), God kvalitet – trygge tjenester” . This document presents a more detailed description of the various elements which make up the system. The Regional Health Authorities, the Norwegian Knowledge Centre for Health Services, the Norwegian Medicines Agency and the Norwegian Directorate of Health are working closely together as regards the tasks linked to the establishment and implementation of the new system. Systematic assessments of effect, safety, costs and consequences for patients and society can be ensured through the use of various types of HTAs based on internationally established principles for HTAs and research summaries [5, 6]. 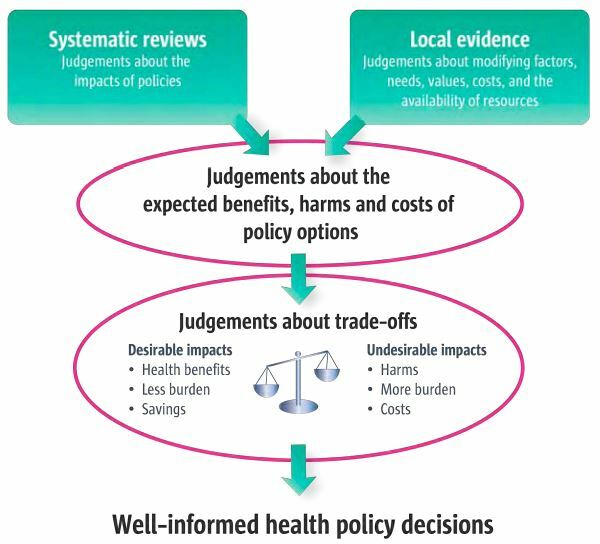 In HTAs, systematic summaries of available research on effect and safety are prepared (systematic overview) and a cost-effectiveness analysis is conducted in relation to a health service initiative, often together with an assessment of issues relating to ethics, law and the organisation of health services [7, 8]. HTA was formally established in Norway in 1997 with the creation of the Norwegian Centre for Health Technology Assessment , and has a long history in many other countries, including the USA, Canada, Australia, England, Scotland, Germany, France and Sweden [10-14]. HTAs will provide a basis for qualified decisions regarding the introduction of new health technologies and will be carried out at various levels within the health service (Fig. 3). HTAs will act as pivotal tools for ensuring the safety and quality of patient care and sustainable development within the health services in the long term. The development and implementation of health measures can be described as a life-cycle; from innovation and development to the introduction and establishment of new measures and possible withdrawal and replacement of measures that no longer meet adequate standards. 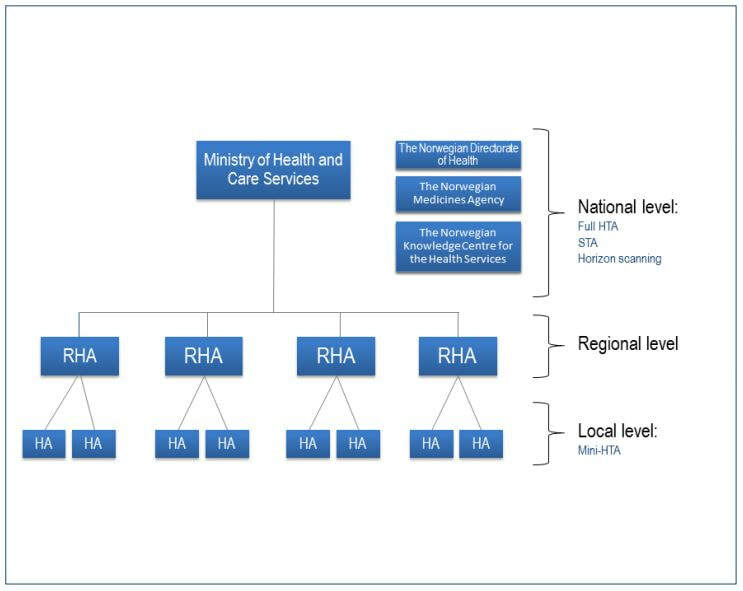 During the course of such a life-cycle, there will be a need for various types of HTAs to support decision-makers in different phases and at various levels within the health service (see Figure 3). Many parties are involved in the various phases from the development of a new health technology to a decision concerning introduction or financing, development of guidelines and follow-up of service quality." ​Systematic use of health technology assessments (HTA) to inform decision-making was the main ambition behind the establishment. (...) "HTAs have been used for many years in numerous countries, including the USA, Canada, Australia, Sweden, England and Scotland, in addition to Norway. What is new in the Norwegian context is that HTAs are now being integrated into a holistic system with predictable and transparent processes for introducing new health technologies into the specialist health service. HTAs will be a tool for supporting appropriate prioritisation and decisions making in order to ensure that introduction of new technologies are proven as safe and effective (Figure 1). It will enable patients, health personnel and society in general to be certain that health technologies used in patient care are both safe and effective. The national system in its entirety will promote the rational use of resources within the health services." (p. 4)"
The Norwegian Centre for Health Technology Assessment (Senter for medisinsk metodevurdering) (SMM), was established in 1997, as the initial HTA agency in Norway. The abstract of the Norwegian study, Mørland 2009, is included below. Objectives: The aim of this study was to describe the Norwegian contribution to the broad picture of our international health technology assessment (HTA) history. Methods: A general examination of some pre-HTA activities, as consensus conferences, closer reading of all background papers to the establishment of an HTA agency in Norway, the ongoing activities of this agency, its evaluation, and its merge into a broader knowledge center for the health services were performed. All information and statements are the authors’ own understandings, but also were reviewed by some of the people taken part in these processes. Results: The Norwegian HTA activity was set up rather late compared to, for instance, Sweden, and our involvement in Nordic early warning activities. This may be related to Norwegian scientists being more involved in the Cochrane Collaboration. However, when established, the HTA agency was regarded as highly successful in involving clinical experts and responding to questions arising from the macro- as well as micro-levels of decision makers. International collaboration was essential in building the capacity to serve all levels. After 6 years, the agency was merged with some related health service knowledge activities, into a new center. The purpose of the Norwegian study, Hofmann 2008, "is to present a practical method for addressing moral issues in HTA." ​"Background: Since the heyday of HTA it has been claimed that ethics is an integral part of HTA. However, few HTA reports have addressed moral issues, and there has been little agreement on methods for implementing ethics in HTA. Therefore, there is a need to develop a standard methodology for addressing ethical issues in HTA in the same manner as there is a methodology for systematic reviews and economic analysis. Accordingly, the purpose of this report is to present a practical method for addressing moral issues in HTA. The method has to be applicable without special knowledge in ethics, and when applied, the method shall result in a broad basis for an open and transparent decision process. Accordingly, it shall only highlight the moral issues, and not lead to specific recommendations. Method: On basis of analyses and assessments of existing methods in ethics in general and in HTA in particular, a practical procedure for addressing moral issues in HTA is to be developed and presented. 6. Wrap up and summarize the process. 2. Moral issues related to stake-holders. 3. Moral issues related to the health technology. 4. Moral issues related to methodological choices in HTA. 5. Moral issues related to HTA itself. Addressing the moral issues shall result in a broad basis for an open and transparent decision process. The "32 moral issues to be addressed" which were mentioned in the "Conclusion" section are presented in Table 2 (p. 39-40, included below). Technology challenges moral norms and values. Teknologien formes av og former moralske normer og verdier. Uses ethical theories or approaches to address the moral challenges. ​Particularly suitable where ethics are something that comes in addition to systematic knowledge summaries and economic analyzes. (Spesielt egnet der etikk er noe som kommer i tillegg til systematiske kunnskapsoppsummeringer og økonomiske analyser. Especially suitable where ethics are part of the assessment and implementation process. (Spesielt egnet der etikken er en del av vurderings- og implementeringsprosessen. ​Danger: Ethics are used as "problem solving technology". Danger: Ethics does not become a method or method in method assessment, but method evaluation becomes a method in the "ethics". "Table 2 (included below) provides a summary of morally relevant questions for use in method assessments." Interestingly, the excerpt below discusses the ethical and moral issues of the fetal ultrasound screening program. Does it follow moral obligations to introduce and use the health measure? 7. Be attentive to implementation considerations even if implementation is not a remit"
4. Create knowledge-related global public goods, including methods and evidence syntheses"
It would appear NOKC's 2008 study, "Evidence-Informed Health Policy: Using Research to Make Health Systems Healthier" was ignored with respect to Directorate of Health's knowledge-obviated, science-bending, medically & ethically flawed 2014 Recommendation (i.e., national medical policy) with the exclusive implementation of NCFM eSnurra Group's "method" (i.e., the appropriated, plagiarized, misused Hutchon Method of PDEE) within a government-mandated protocol of evidence-obviated medicine; a protocol proven to cause increased medical risks, critical medical mistakes and grievous medical harms with respect to obstetric medicine, fetal medicine and obstetric clinical care. 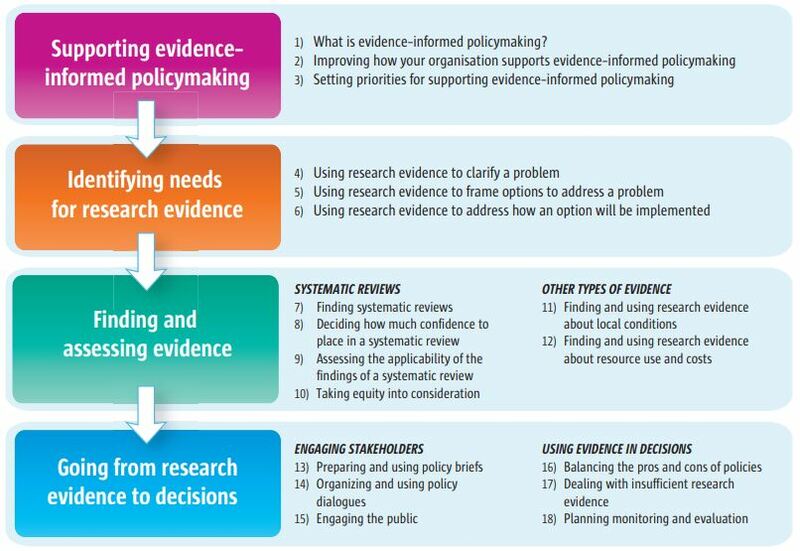 Going from research evidence to decisions." "The National Knowledge Center for Health Services provides and disseminates knowledge of the effects of methods, measures and measures of quality in all parts of the health service. The goal is to make good decisions so that users get the best possible healthcare. Until 31.12.2015, the Center is formally a governing body under the Directorate of Health, without governmental functions. The Knowledge Center can not be instructed in academic matters. From 2016, the Knowledge Center is incorporated into the National Institute of Public Health.​"
Nasjonalt kunnskapssenter for helsetjenesten fremskaffer og formidler kunnskap om effekt av metoder, virkemidler og tiltak og om kvalitet innen alle deler av helsetjenesten. Målet er å bidra til gode beslutninger slik at brukerne får best mulig helsetjenester. Inntil 31.12.2015 er senteret formelt et forvaltningsorgan under Helsedirektoratet, uten myndighetsfunksjoner. Kunnskapssenteret kan ikke instrueres i faglige spørsmål. Fra 2016 er Kunnskapssenteret innlemmet i Folkehelseinstituttet. The Knowledge Center's independence and legitimacy was identified as an issue in the summary section of the 2007 report: "Evaluation of the National Knowledge Center for the Health Services - Final Report" ("Evaluering av Nasjonalt kunnskapssenter for helsetjenesten - Sluttrapport"). "There is a great risk that trust that is built up as an impartial organization for knowledge summary without any ambition other than presenting facts can be quickly broken down if the organization also conducts political or semi-political assessments with recommendations of a common nature." "The Knowledge Center's professional independence is attached to the articles of association: "The Knowledge Center is a professional independent administrative body without governmental functions. The Knowledge Center can not be instructed in academic questions. Knowledge Center determines their own form of work, communicates freely and publishes their work." The knowledge center is, however, subject to SHdir in level three under Ministry of Health and Care Services. SHdir is also an important principal and chief finance officer." "4.6 Kunnskapssenterets uavhengighet, tillit og synlighet. "Special representatives of academic and health services are still skeptical of the administrative ties they perceive between the Knowledge Center and SHdir which is agency governor, ordering, financier and decision maker. This gives background for assessing whether the professional independence is real. Regional Health Authorities' professionals have generally expressed questioned and criticized the connection with SHdir via agency but see that it has also had positive sides. It was also pointed out that Haste assignments can threaten the Knowledge Center's professional independence because they affect Priorities in the Knowledge Center." The Evaluation Group recommends that the Knowledge Center develop a systematic process for identifying key issues within all important disciplines and levels of health services. The purpose is to ensure strategically correct theme choices and to meet the needs of the target groups. The process should be open: it should be clear who participates, what criteria are the basis for the decisions and the content of these. All relevant clients and user groups should be involved in the process." A good prioritization process assumes that the guidelines of the ministry and the governors are kept at an overall level. The evaluation group recommends that the agency and the Knowledge Center clarify the balance between professional independence in the prioritization process and the consideration of policy guidance through the agency management." Included below is the Wikipedia entry for Cecilie Daae, MD who left Directorate of Health to be the Director, Norwegian Directorate for Civil Protection (Direktoratet for samfunnssikkerhet og beredskap) (DSB) on 01.09.2015, reporting to the Ministry of Justice and Public Security. The Wikipedia entry for Cecilie Daae describes her employment with Directorate of Health which included her work with NOKC regarding "National systems for assessing new methods and medicines in the specialist health service." Cedilie Daae's work with NOKC while an employee of Directorate of Health would appears to have been work which was both professional and scientific. She has a medical diploma from the University of Oslo  1990, was approved as a specialist in general medicine in 2001 and re-certified in 2006. Daae has previously served as division director in the specialist division and department director in the department of hospital services in the Norwegian Directorate of Health before she was employed temporarily as one of two Assistant Directors of the Directorate of Health from April 30, 2014. On September 1, 2015, Daae joined the position as Director of DSB, thereby becoming the second director in the line for the agency established in 2005. "For the Directorate of Health, Daae also worked with the management of the National Knowledge Center for the Health Services and was responsible for the Directorate's work with, among other things, emergency networks and national systems for assessing new methods and medicines in the specialist health service." Cecilie Daae's Wikipedia entry makes it clear NOKC was not "scientifically and professionally independent" of Directorate of Health as had been stated in NOKC's "Evidence-Informed Health Policy: Using Research to Make Health Systems Healthier". In January of 2016, NOKC separated from Directorate of Health to join the Norwegian Institute of Public Health (NIPH) and is now NIPH Division of Health Services. All of this begs the question: While employed at Directorate of Health, Cedilie Daae spent years of effort working with NOKC and others to develop and implement Ministry of Health & Care Services' "New Methods System" (Nye Metoder System); and, Ceilie Daae served as a member of the New Method System's Ordering Forum RHF, so why was the "New Methods System" not used to assess Directorate of Health's knowledge-obviated, science-bending, medically & ethically flawed 2014 Recommendation? Why was Ceilie Daae not chamioning the use of Ministry of Health & Care Services' "New Methods System" (Nye Metoder System). "This series of articles was prepared as part of the SUPPORT project, which was supported by the European Commission’s 6th Framework INCO programme, contract 031939. The Norwegian Agency for Development Cooperation (Norad), the Alliance for Health Policy and Systems Research, and the Milbank Memorial Fund funded a peer review meeting where an earlier version of the series was discussed. The Canada Research Chairs Program provides salary support to John Lavis, who has authored several articles in this series, in his role as Chair Canada Research Chair in Knowledge Transfer and Exchange. None of the funders had a role in drafting, revising or approving the content of this series." It is apparent NOKC's efforts and experience developing"SUPPORT Tools for evidence-informed health Policymaking (STP)" were not applied to Directorate of Health's knowledge-obviated, medically & ethically flawed 2014 Recommendation with their exclusive implementation of NCFM eSnurra Group's "method" (i.e., the appropriated, plagiarized, misused Hutchon Method of PDEE) within a government-mandated protocol of evidence-obviated medicine; a protocol proven to cause increased medical risks, critical medical mistakes and grievous medical harms with respect to obstetric medicine, fetal medicine and obstetric clinical care. Included below is a summary of NOKC from "Knowledge brokering in Norway: bringing rigour and transparency to policy inputs." establishes functional linkages with policy-making and stakeholder organizations. does not have an explicit approach to prioritizing knowledge brokering in general or urgent requests for knowledge syntheses in particular (the most frequent type of request), although it does have a formal process for making non-urgent requests for knowledge syntheses.